Chocolate Milk Mini Fudge Pops! My son is basically obsessed with dessert, I think he would eat dessert all day if he could. 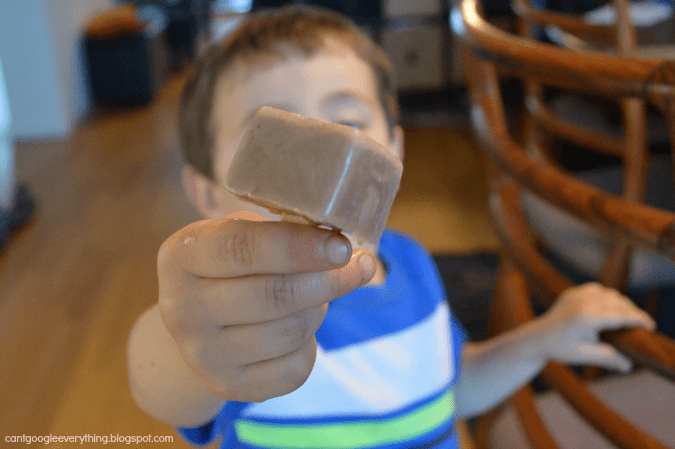 He ask for dessert after every meal (even breakfast) and of course is very upset that we don’t always say “yes!” I thought of these fudge pops as a great way for my son to have dessert, because they are made with chocolate milk and are mini sized so he still gets a sweet treat but one that is just big enough to satisfy his sweet tooth! You can control the ingredients to use whatever type of milk and yogurt you prefer as well! 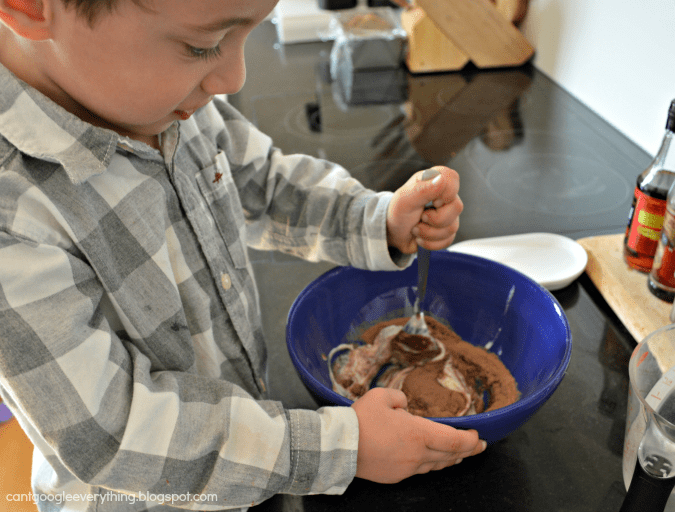 Mix the yogurt and chocolate milk powder together in a bowl. Add the milk and mix in to combine. 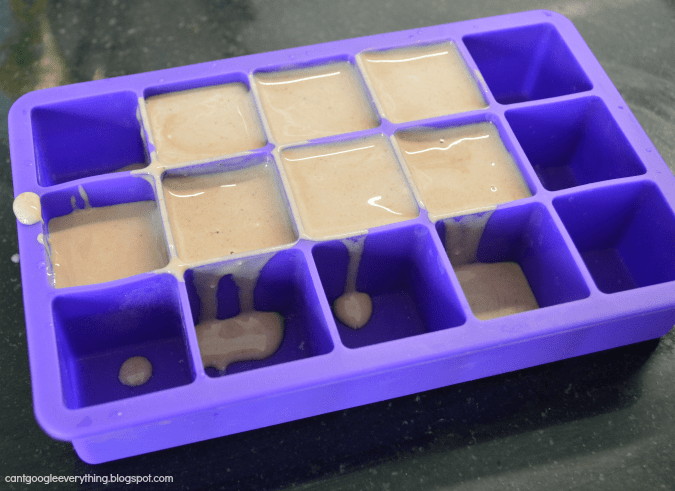 You can also add more milk to make even more popsicles. Pour the mixture into your pop mold. We used an ice cube tray that makes cube shaped ice cubes. Each one is about 1 ounce. Next time I would add a little more milk to make the pops even in size and to round it out to 8 exactly! 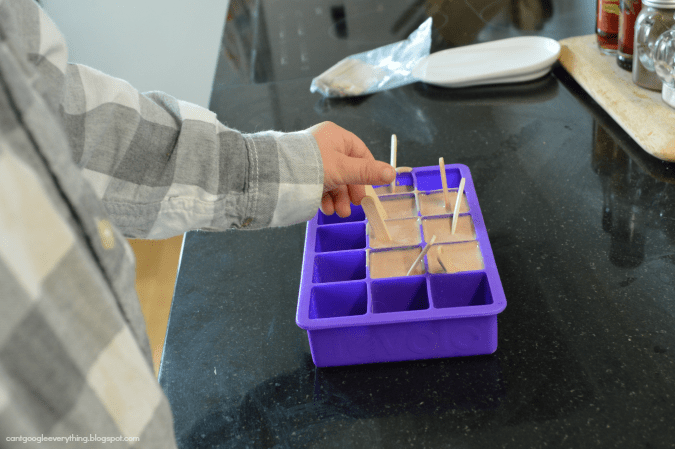 Add the mini popsicles sticks to each one and then transfer to the freezer to set. You can find mini popsicles sticks at the craft store. After about an hour, check on them and straiten the sticks so they stay upright. Or, you could stick them through a sheet of paper or wax paper to keep them up strait in the mold from the start. Allow them to freeze at least 6 hours. Mini pops are the perfect size for little hands and tummies! And a delicious treat for adults, too! Get featured and follow us, too! yummers!!! these look so good! 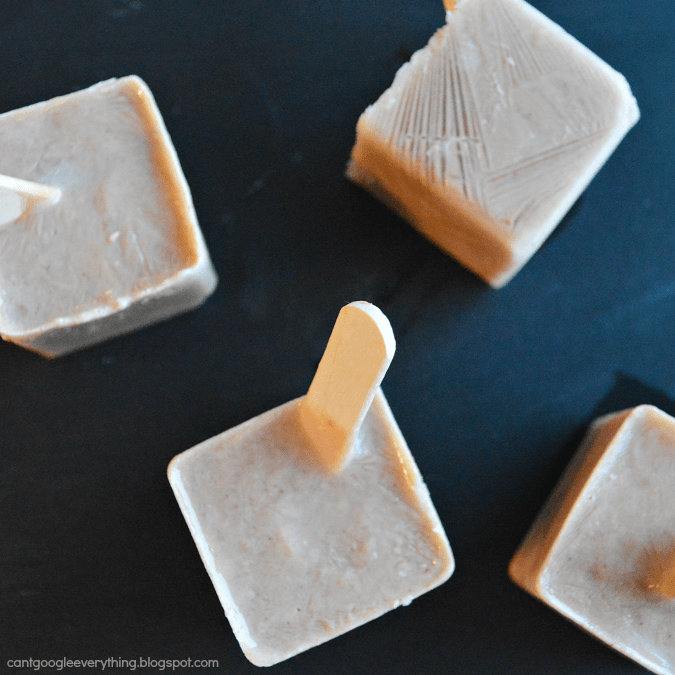 And they've reminded me that I have popsicle molds… now if spring will finally show up! What a fun idea! I think there are some fudge pops in my future! Love the small size of these. Such a great way to satisfy that sweet tooth! I like how these are just a small bite!